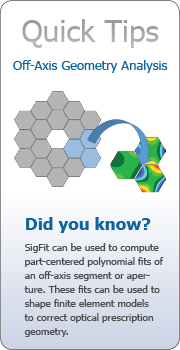 Since Sigmadyne’s founding in 1998 we have focused on offering engineering simulation services, software, and training to a wide array of clients in the photonics industry. The rich experience of our staff has developed over decades in the application of finite element methods to the photonics industry and has included active involvement in the development and application of integrated optomechanical analysis methods. Photonic applications to which we have applied our skills include astronomy, energy, microlithography, remote sensing, entertainment imaging, and communications. As innovators in integrating mechanical analysis with optical analysis our firm brings unique technical skills and capabilities to help our clients verify mechanical and optical performance requirements during development of their product designs. Our strengths also allow us to effectively improve predicted performance through the employment of optimization techniques that also couple mechanical and optical predictions. 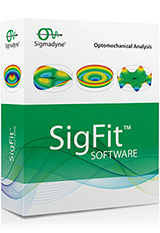 As developers and users of SigFit software we are able to offer flexibility in adding customized analysis capability as required by unique needs of our clients. Furthermore, such capability is delivered with responsive and personal service.